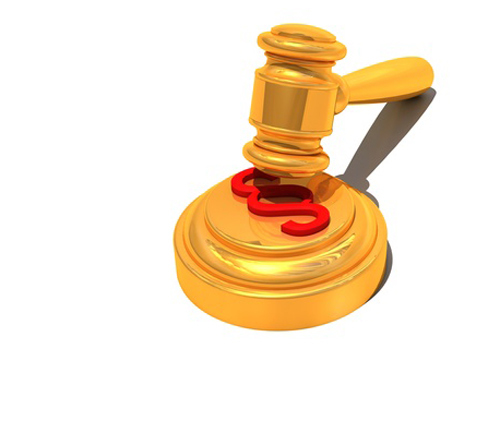 Caris Life Sciences is accusing Foundation Medicine in a federal lawsuit of infringing on five Caris patents in the development of its cancer assays FoundationOne®, FoundationACT® and FoundationOne® Heme. “As a result of Defendant’s infringement and the threat of its continued infringement, Caris faces a substantial risk of irreparable harm,” Caris stated in its 28-page complaint, filed yesterday, in U.S. District Court for the District of Massachusetts, Boston Division. U.S. Patent No. 8,880,350 (the “‘350 patent”), “System and Method for Determining Individualized Medical Intervention for a Disease State,” which uses the molecular targets EGFR, KIT, TOP1, MLH1, PTEN, PDGFRA, and ESR1. U.S. Patent No. 9,292,660 (the “‘660 patent”), “Molecular Profiling of Tumors,” which uses the molecular targets BRAF, CTNNB1, cKIT, PIK3A, and PTEN in the context of treatments for lung cancer. U.S. Patent No. 9,372,193 (the “‘193 patent”), “System and Method for Determining Individualized Medical Intervention for a Disease State,” which uses the molecular targets AR, EGFR, HER2, KIT, MLH1, PTEN, and PDGFRA; in testing for metastatic cancer. U.S. Patent No. 9,092,392 (“the “‘392 patent”), “Molecular Profiling of Tumors,” which uses the molecular targets BRAF, EGFR, PIK3CA, and PTEN in the context of treatments for colorectal cancer. Caris’ system—the Caris Molecular Intelligence Comprehensive Genomic Profiling Plus (CGP+) molecular testing service—uses multiple tumor profiling technologies to decode cancer, including immunohistochemistry, in situ hybridization, next-generation sequencing, Sanger sequencing, pyro sequencing and fragment analysis. CGP+ is designed to assesses DNA, RNA and proteins, including microsatellite instability, total mutational load, and programmed death-ligand 1 (PD-L1)—with the aim of revealing a molecular blueprint to guide physicians on personalized treatment decisions. The system is designed to generate a molecular profiling report, which the treating physician may then use to develop a personalized treatment plan for the patient. “Through its Caris Molecular Intelligence® product, a comprehensive genomic profiling product formerly known as Target Now®, Caris has provided molecular profiling for more than 123,000 clinical cases,” Caris asserted in its complaint. Caris is seeking findings that all five patents were infringed, as well as enhanced damages, and am “exceptional case” finding entitling the plaintiff to attorney fees and court costs. FoundationOne is Foundation Medicine’s flagship assay for solid tumor cancers—including, but not limited to, non-small cell lung cancer (NSCLC), colorectal cancer, breast cancer, ovarian cancer, and melanoma. According to the company, FoundationOne is validated to detect all classes of genomic alterations in more than 300 cancer-related genes, including select introns from more than 25 genes often rearranged or altered in solid tumors. FoundationAct is Foundation Medicine’s liquid biopsy assay for solid tumors, such as those in NSCLC, breast, colon, and prostate cancers. The assay has been validated to detect all classes of genomic alterations in more than 60 of the most commonly mutated genes in solid tumors using only a blood sample. The company says the blood-based circulating tumor DNA (ctDNA) assay may be considered when tissue is unobtainable, when the physician elects to use a ctDNA assay, or to complement FoundationOne® testing. FoundationOneHeme is designed to detect all classes of genomic alterations in more than 400 cancer-related genes—namely hematologic malignancies and sarcomas including, but not limited to, leukemias, myelodysplastic syndromes, myeloproliferative neoplasms, lymphomas, and multiple myeloma. In addition to DNA sequencing, FoundationOneHeme employs RNA sequencing across more than 250 genes to capture a broad range of gene fusions, common drivers of hematologic malignancies, and sarcomas. Both assays are designed to interrogate hundreds of cancer-related genes in solid tumors, or hematologic cancers and advanced sarcomas, respectively, to identify genomic alterations in patients that can be matched with a therapy that targets them. “The claims seem pretty broad. It seems like they cover almost every multi-panel genetic diagnostic test that comes with a report out there, with respect to these particular genes. From an infringement perspective, it looks like Caris has a good shot,” Jacob S. Sherkow, J.D., associate professor at the Innovation Center for Law and Technology, New York Law School, told GEN.
“But if I were Caris, my bigger concern would be a court finding that the patents are of dubious validity,” based on decisions in recent years restricting patentable subject matter under Title 35 of the U.S. Code, Section 101,” Professor Sherkow said. Professor Sherkow cited the U.S. Supreme Court decision in Alice Corp. b. CLS Bank International (No. 13–298, 2014), in which a unanimous High Court invalidated software patents of Alice designed to facilitate the exchange of financial obligations between two parties by using a computer system as a third-party intermediary. Because the claims are drawn to a patent-ineligible abstract idea, they are not patent eligible under §101, the Supreme Court decided in an opinion written by Justice Clarence Thomas. He also cited the Supreme Court decisions in Association for Molecular Pathology (AMP) v. Myriad Genetics, in which the Court unanimously overturned seven of Myriad Genetics’ 24 patents related to its discovery of the precise location and sequence of breast cancer susceptibility genes BRCA 1 and 2; and the 2012 decision in Mayo Collaborative Services v. Prometheus Laboratories , in which the High Court unanimously held as patent-ineligible the methods of dosage calibration for thiopurine drugs for gastrointestinal and nongastrointestinal autoimmune diseases that had been patented by Nestle’s Prometheus’ Laboratories. “It’s fair to say that a likely result from this lawsuit is going to be the child of these Myriad and Mayo decisions,” Professor Sherkow said.